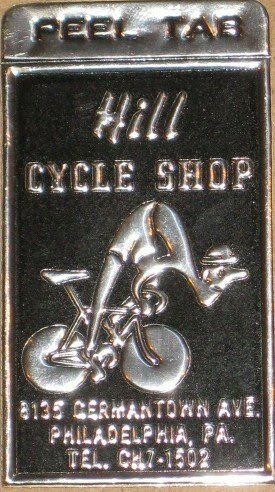 Hill Cycle Shop was the premier bicycle shop in the Philadelphia area for many decades. Here is the Facebook dedicated to Hill Cycle Shop. We have the Hill Cycle show bike, we are currently restoring it and it will hang downstairs as a reminder of Philadelphia’s Bicycle racing history. I will add photos of it in the future as well.